We love listening to records, but all of that sound system equipment sitting out on the shelf is not exactly pretty. Designer Roy Harpaz came up with a record player design that not only sounds great, but also looks like a piece of modern art. 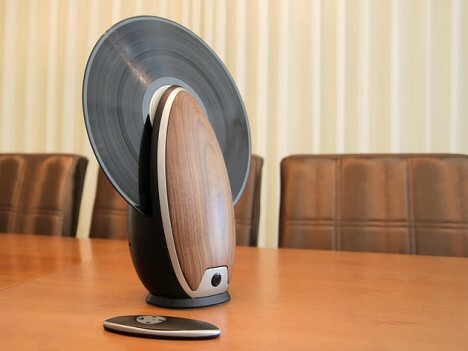 The vertical record player is egg-shaped with a front made of CNC-cut walnut wood. 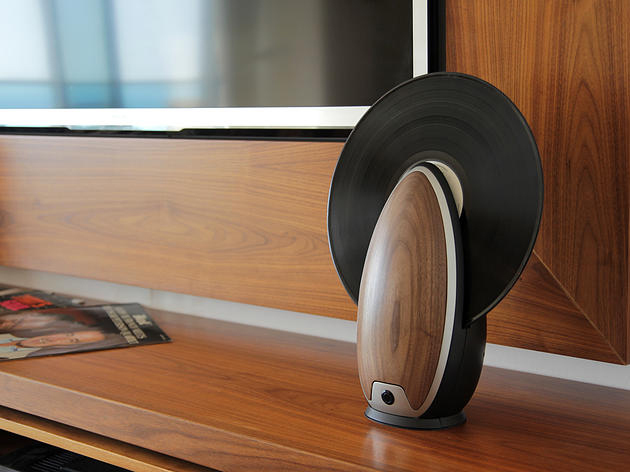 Inside, very modern components give your prized records the very best treatment. 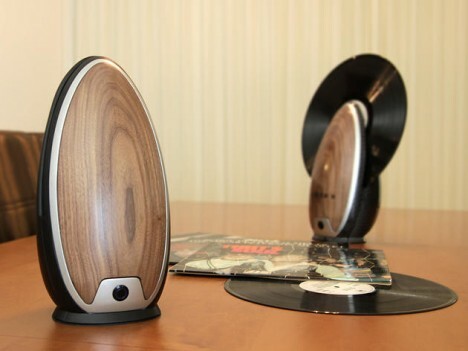 The TOC can play even old and warped records which would ordinarily be unplayable thanks to spherical ball bearings that let the record spin freely. 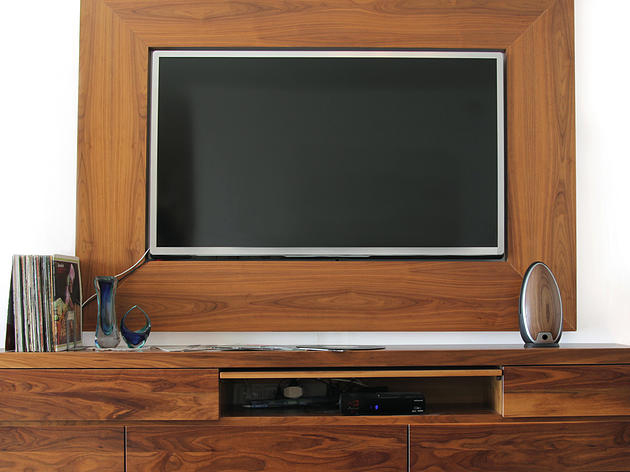 The front of the player has touchscreen controls, but you can also control playback using the matching remote control. 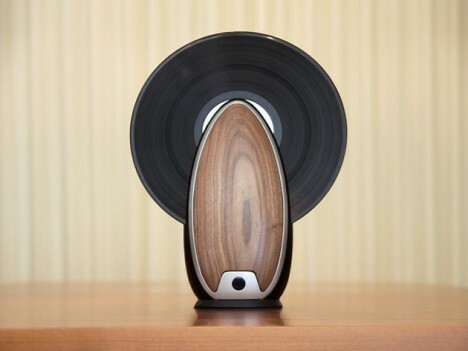 Unlike old record players, the TOC even lets you skip between songs thanks to a special sensor that reads the grooves to find out where the next song begins. Buttons on the side let you choose between three record sizes and three rotation speeds. The player features standards speaker outputs as well as two USB inputs so you can play your favorite music right from a flash drive, smartphone, or laptop. The TOC is a concept, not a consumer product, but we’ll still be hoping to see it on our shelves sometime in the future. See more in Unbuilt Concepts or under Technology. July, 2015.